Can Rep. Mike Coffman (R). But Coffman and his GOP allies remained shy of their goal of collecting enough signatures to force a vote. Those Republicans, who have moderate views on the issue, could force GOP leaders to hold a vote on their plan if they gather at least 218 signatures, a majority of the chamber’s membership, including Democrats. The maverick Republicans want to allow votes on a hard-right immigration bill, a liberal one, a bipartisan compromise and any immigration bill of Ryan’s choosing. Under their plan, the measure that passes with the most votes would prevail. As you can see, this is not a petition to force one specific bill, but to force the consideration of multiple bills spanning the range of ideological approaches to immigration reform. We don’t yet know the details of the “hard-right” bill that would be included in this discharge petition, but it’s difficult to imagine that bill would be supportable by Democrats–or, we would sincerely hope, Rep. Coffman. Despite the risk of setting up passage of legislation adverse to the goals of immigration reform proponents, this report seems to presume that all 193 House Democrats would sign on to the discharge petition. Even if that happens, though, Republican supporters of this effort are still reportedly 25 members short in their own caucus for it to be successful. That significant remaining hurdle is made far higher by Speaker Ryan’s move to firewall the rest of the GOP caucus by crapping on the whole effort. All of which brings us back to the same point we’ve made time and time again about Rep. Coffman, as he continues to try to live down his Tom Tancredo-loving anti-immigrant past by playing lip service to immigration reform–despite the impossibility of getting such reform through a chamber controlled by his own party. Yes, obviously, if this effort were to actually succeed against the long odds it faces in Paul Ryan’s House, Coffman would be deserving of praise. 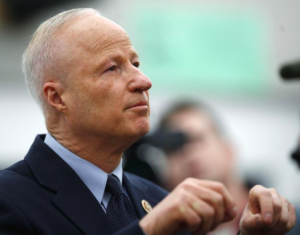 The problem is that Coffman has never once succeeded in persuading fellow Republicans to address immigration reform in a manner consistent with the lip service he pays to the issue. And all the while, Coffman continues to vote for leadership like Paul Ryan who guarantee failure. Is 2018 the year Coffman’s game is finally up? When the discharge petition fails, we’ll revisit the question. The only deportation Mike Coffman is truly concerned about is his own from the congress. Using a procedural tactic know as a discharge petition, Rep. Carlos Curbelo, R-Fla., joined 17 other Republicans and one Democrat to sign onto a plan that could give amnesty to those brought here illegally as children under President Barack Obama’s Deferred Action for Childhood Arrivals, or DACA, program. If all 193 Democrats join 25 Republicans, they would reach the 218 signatures required to force a floor vote. Curbelo needs just seven more Republicans to sign the discharge petition to have 25 Republican signatures. That italicized sentence sounds like a fine argument for Crow or Tillemann.